Neuro-ophthalmology is the ophthalmic sub specialty that deals with eye diseases and issues caused by different neurological conditions including various optic nerve disorders. This highly specialized and challenging sub specialty is a holistic combination of different primary specialties like Neurology, Neuro-surgery and Radiology with ophthalmology its parent specialty. The Department of Neuro-ophthalmology at Sankara Nethralaya was started by Dr Lingam Gopal, Distinguished Senior Consultant, way back in 1980s when not many ophthalmic institutions in the country had an exclusive department to deal with such ailments and today it has grown to a full fledged, high specialty department offering expert services to patients suffering from neuro-ophthalmic challenges, from different parts of India and neighboring countries. The Neuro-ophthalmology department treats a large number of patients with a wide range of symptoms including vision loss, double vision, drooping of eyes, visual field defects, headache, eyelid and facial disorders every day. It also evaluates and treats patients with ophthalmic manifestations of various neurological diseases. The team of neuro-ophthalmologists at Sankara Nethralaya often work in collaboration with highly qualified and experienced neurologists and neurosurgeons of the city who offer their dedicated service and professional care to its patients. 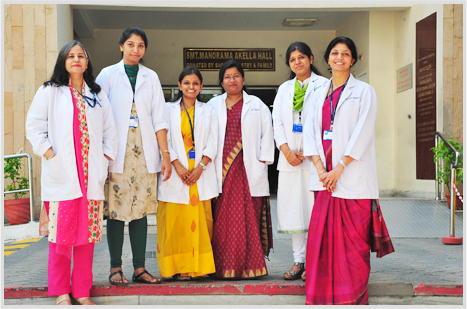 The department receives patients from all over India and also serves a diverse population from neighboring countries. It is well equipped and manned by well trained and highly experienced team of consultants who provide comprehensive and state –of-the –art eye care to patients with the entire spectrum of neuro ophthalmic disorders including disorders of optic nerve, central nervous system and those with ocular motility dysfunction. The department has been striving most sincerely to provide quality and affordable treatment in this highly challenging branch of eye care for many years. Neuro ophthalmology is a relatively young and intriguing sub-specialty of ophthalmology. Being a tertiary care centre, there is enormous scope to gain knowledge in both the diagnosis and management of neuro-ophthalmic conditions. The department offers an 18 months fellowship program in the Chennai campus. Till date 6 fellows have been offered expert theoretical and hands on training under this program. Goals of fellowship: The objective of the fellowship programme is to impart the necessary knowledge and skills needed to become a competent neuro ophthalmologist. The structured programme provides intensive training in diagnosing and managing various neuro-ophthalmic disorders that helps trainees attain expertise in the highly challenging and multi-disciplinary field of neuro-ophthalmology. Fellows are trained in the management of ophthalmic emergencies and interpretation of relevant investigations, including OCT and neuro imaging and also receive training in cataract surgeries. In addition, they also get to observe various clinical processes being carried out by the neuro radiologist, neurologist and neurosurgeons as per structured programme . Fellows are also trained in basic research methodology, scientific paper writing and are involved in ongoing studies in the department. Screening MCQ examination followed by interviews will be conducted in month of March and September of each year. Course commences in April and October accordingly. The department is considered as an authority on the subject and has published a good number of papers in peer reviewed journals. 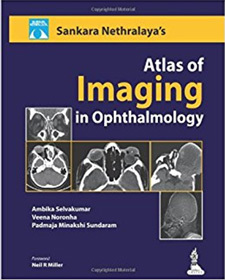 Faculty members have authored and co-authored many chapters in ophthalmology test books and text books in the field of neuro ophthalmology. We take pride in showcasing our publications here. Ambika S, Arjundas D, Noronha V, Anshuman. Clinical profile, evaluation, management and visual outcome of idiopathic intracranial hypertension in a neuro-ophthalmology clinic of a tertiary referral ophthalmic center in India. Ann Indian Acad Neurol. 2010 Jan;13(1):37-41. Jayaraman M, Ambika S, Gandhi RA, Bassi SR, Ravi P, Sen P. Multifocal visual evoked potential recordings in compressive optic neuropathy secondary to pituitary adenoma. Doc Ophthalmol. 2010 Dec;121(3):197-204. Khan NA, Govindaraj P, Soumittra N, Srilekha S, Ambika S, Vanniarajan A, MeenaAK, Uppin MS, Sundaram C, Taly AB, Bindu PS, Gayathri N, Thangaraj K. Haplogroup heterogeneity of LHON patients carrying the m.14484T>C mutation in India. Invest Ophthalmol Vis Sci. 2013 Jun 10;54(6):3999-4005. Jeyaraman VA, Sudharshan S, Selvakumar A, et al. Isolated cortical blindness without simultaneous neurological involvement in progressive multifocal leukoencephalopathy in a patient with human immune deficiency virus infection. Journal of Ophthalmic Inflammation and Infection. 2013;3:3. doi:10.1186/1869-5760-3-3. Selvakumar A, Mahalaxmi B, Ananth V, Gautam C. Spheniodal mucocele causing bilateral optic neuropathy and ophthalmoplegia. Indian J Ophthalmol. 2014 Apr;62(4):515-7. Bassi ST, Dasgupta A. Bilateral simultaneous nonarteritic anterior ischemic optic neuropathy in a patient with alcoholic liver disease. Oman Journal of Ophthalmology. 2014;7(2):72-74. Nair AG, Ambika S, Noronha VO, Gandhi RA. The diagnostic yield of neuroimaging in sixth nerve palsy - Sankara Nethralaya Abducens Palsy Study (SNAPS): Report 1. Indian J Ophthalmol. 2014;62:1008–12. Bassi ST, Mohana KP. Optical coherence tomography in papilledema and pseudopapilledema with and without optic nerve head drusen. Indian Journal of Ophthalmology. 2014;62(12):1146-1151. doi:10.4103/0301-4738.149136. Jayaraman M, Gandhi RA, Ravi P, Parveen S. Multifocal visual evoked potential in optic neuritis, ischemic optic neuropathy and compressive optic neuropathy. 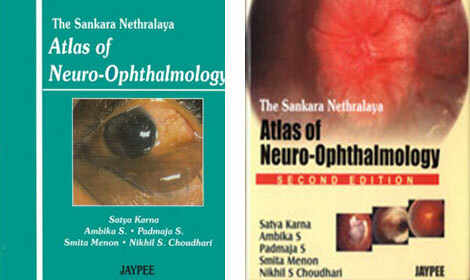 Indian Journal of Ophthalmology. 2014;62(3):299-304. Nair AG, Praveen SV, Noronha VO. Cataract surgery in a case of carotid cavernous fistula. Indian Journal of Ophthalmology. 2014;62(9):953-954. Ambika S, Balasubramanian M, Theresa L, Veeraputhiran A, Arjundas D. Aquaporin4 antibody [NMO Ab] status in patients with severe optic neuritis in India. Int Ophthalmol. 2015 Dec;35(6):801-6. Hussaindeen JR, Mani R, Rakshit A, Ramasubramanian S, Vittal Praveen S. Natural history of idiopathic abducens nerve paresis in a young adult. Journal of Optometry. 2016;9(4):264-268. Khan NA, Govindaraj P, Soumittra N, Sharma S, Srilekha S, Ambika S, Vanniarajan A, Meena AK, Uppin MS, Sundaram C, Bindu PS, Gayathri N, Taly AB,Thangaraj K. Author Response: Penetrance of the LHON Mutation m.11778G>A May Depend on Factors Other Than Haplotype or Heteroplasmy Rate. Invest Ophthalmol Vis Sci. 2018 Jan 1;59(1):382. Ambika S, Padmalakshmi K, Venkatraman V, Noronha OV. Visual Outcomes and Clinical Manifestations of Pediatric Optic Neuritis in Indian Population: AnInstitutional Study. J Neuroophthalmol. 2018 Mar 16. The department is also working on innovative and intensive clinical trials and research programs which help in an in-depth understanding of the cause and progression of various neuro-ophthalmic disorders and effectively monitor their response to various treatment modalities. The Ischemic Optic Neuropathy Clinical Study: QRK207 - A phase 2/3, Randomized Double Masked, Sham controlled trial of single or multi-dose intravitreal injection(s) delivered to subjects with acute non arteritic anterior ischemic optic neuropathy is a classic example of the above. The neuro-ophthalmoogy department is engaged in a critical joint initiative with the L& T Microbiology Research Centre & SAIL Molecular Microbiology department at its in-house research centre towards identifying biomarkers that would enable accurate diagnosis and progression of ‘Demyelinating optic neuritis’ a major cause of vision loss, which could lead to its effective management. It was a significant step forward to the department when it recently identified miRNA as an effective biomarker in Multiple Sclerosis. Deciphering of effective autoimmune agents like ‘Myelin oligodentrocyte glycoprotein’ (MOG) is among the major research endeavours currently being pursued by the department. There is also a major ongoing collaborative research with the SN ONGC department of Genetics and Molecular Biology on whole genome and OPAI gene sequencing in patients with hereditary optic neuropathy. The department is focusing seriously in participating in Indo US collaborative projects and research opportunities in its field and a few proposals are under active consideration.